IFTLE 75 is a nice round number and if we combine these with their predecessor PFTLE (still accessible here) we are now past 200 and approaching four full years of these weekly updates. Certainly no other information source available has been following 3D IC on a weekly basis for as long. I’ll try to come up with something special for IFTLE 81, which would be the beginning of Year Five. Once again I thank all of you, my readership, for paying attention. Hopefully there continues to be something for each of you to learn from each and every blog. We’ve spent a lot of time the last four years discussing what’s going on in the 3D IC space because undergoing this evolution some day will be viewed as a very important event in IC packaging history. But that doesn’t mean that there are no other very significant packaging evolutions and market opportunities going on at the same time. Certainly the LED space is one of those. We all know that LED producers are looking at white light and replacement of the incandescent bulb as the "big dog" driver application in this space, and I have ranted on the demise of "Lester the Lightbulb" [see IFTLE 63: "Bidding Adieu to Lester Lightbulb"]. 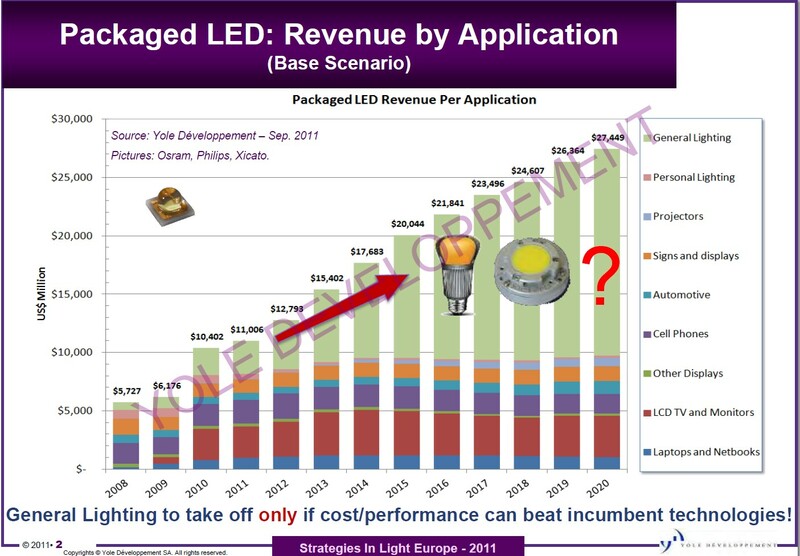 Further, Yole’s LED experts expect all phases of LED production, including packaging, to undergo a >10Ã?? cost reduction over the next 10 years. It is an IFTLE perception that backlighting for TVs will be equally, if not more important than home lighting. In general, digital TV growth rates are expected to remain fairly flat in developed markets (e.g., North America, Europe, and Japan) through the forecast period, since the big upgrade cycle in these regions has mostly already occurred. However, India, China and other countries throughout the Asia-Pacific and Latin America are forecast to enjoy strong DTV growth. Fast-growth economies, increased disposable incomes, and large populations will drive this expansion. Asia-Pacific is undergoing a digital TV boom that some believe will result in 70% of homes having a DTV in 2015, up from approximately 35% in 2010. That IC Insights report also notes how the method of delivering programming is quickly transforming broadcast television. Just as smartphones brought the Internet and thousands of applications to cellphone users, "smart TVs" are bringing Internet and Web 2.0 features to television sets and offering access to TV broadcasts, videos, movies, photos, and other content via the Web. 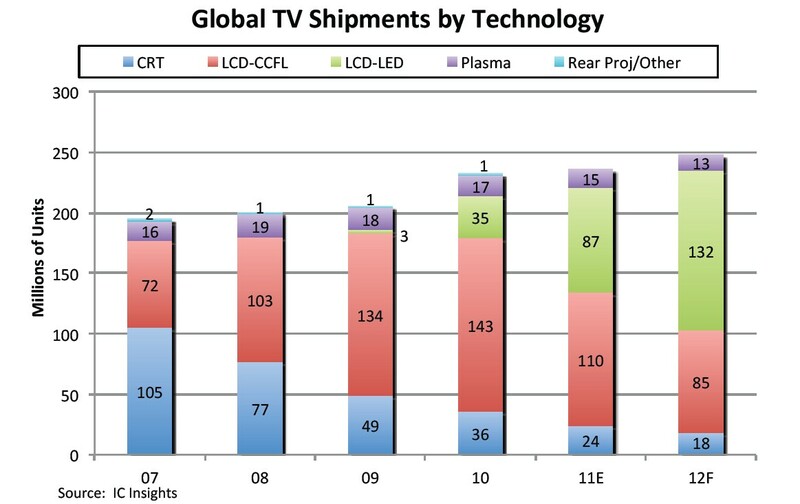 An estimated 20% of television shipments in 2011 were smart TVs, but this is expected to increase to nearly 40% of in 2012. Consumers will be able to watch almost anything found on a Web site on their television. 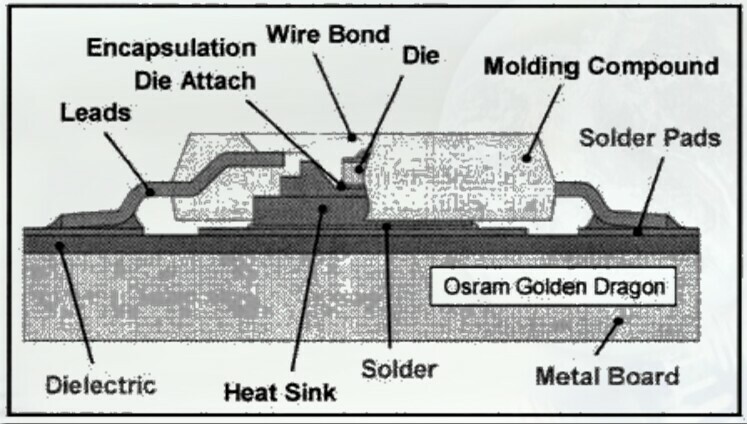 While the leading edge of LED packaging is going wafer-level (see below) using bumping and backside TSV technology, the bulk of the packaging as it enters the backlighting market is still on lead frames as shown below for the Osram Golden Dragon. 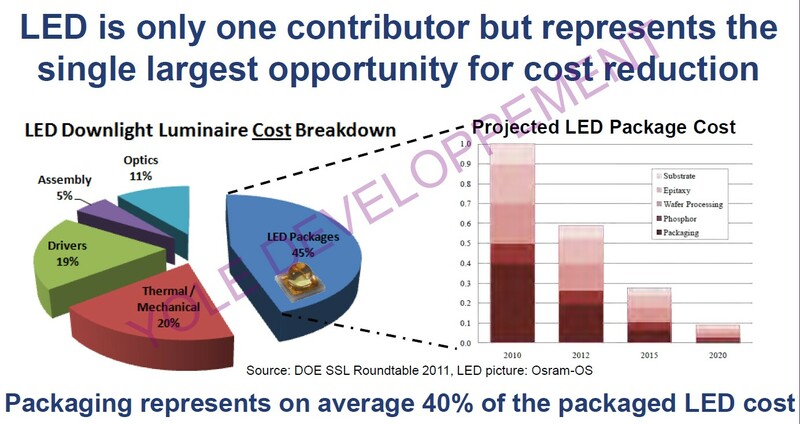 Package development for LEDs appears to be in its infancy similar to where bumped WLP devices were a decade ago. Expect to see rapid changes in LED packaging over the next five years. 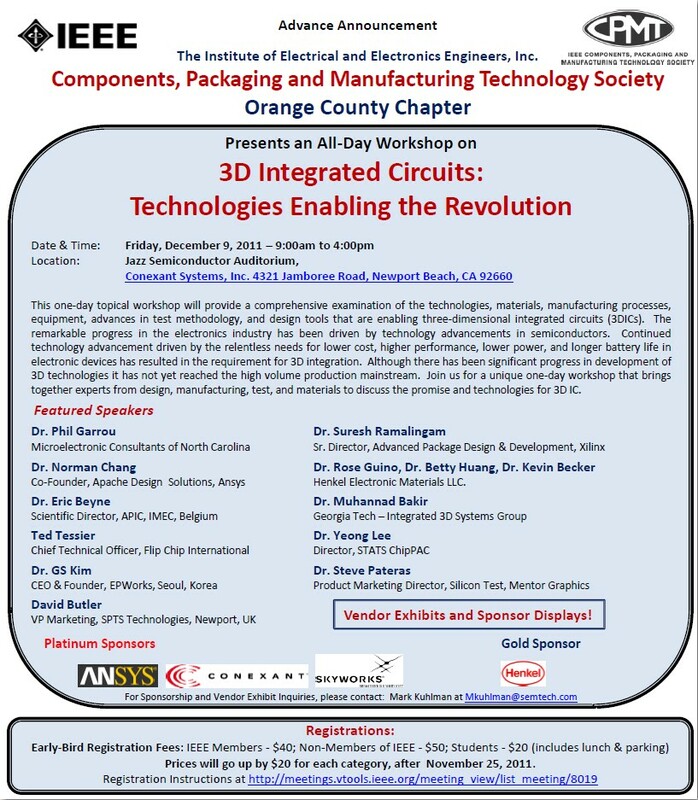 For all the latest in 3D IC and advanced packaging, stay linked to IFTLE……….